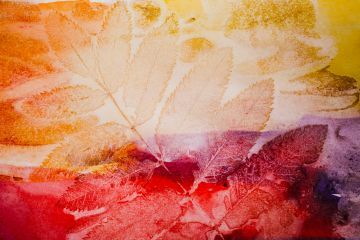 This art camp encourages kids to explore basic printmaking and experimentation with new materials. The camp will begin with a scavenger hunt to gather natural, non-traditional art making objects. Students will experiment with mark-making in their sketch books and will be working on styrofoam plates with pencil and hand-printing with water-based ink. This 'master plate' will serve as a foundation for the basics of printmaking. Studio time will include teacher demonstrations and allow for one-on-one assistance for each student. Instructor Ellie Fritz is MarinMOCA’s current residence artist and works with kids of all ages. If you would like to register for SUMMER CAMP FOR KIDS - Mixed Media Scavenger Hunt, ages 6 - 11 please complete the form below.